Well I'm going away for almost 2 weeks and doubt I will be updating the blog over that time. If time permits in the New Year I will continue on and maybe get some more regular posts happening. If anyone is actually reading this I hope your holiday time is safe and spent with family and friends, and all the best to you for 2007. Jonatha Brooke is supposed to being putting up her new single 'Careful What You Wish For' from the album of the same name (due out in stores on April 3rd, 2007) on iTunes tomorrow (Dec. 20th). I've heard good things about the track but haven't heard it myself yet, but everything Jonatha does is usually fantastic so pick it up if you are a fan. What a pathetic cash grab the just released 'Canadian Idol' DVD's are. With just a few songs from the top 2 finalists of each year a lot of great performances are omitted. This probably has something to do with licensing issues etc. etc. but no Jacob Hoggard performances, he helped make Season 2 as great as it was. 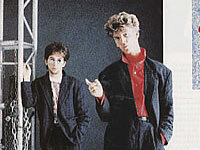 This week I'm featuring the track 'Come Summer' by Fra Lippo Lippi from their 1986 cd titled 'Songs', enjoy. 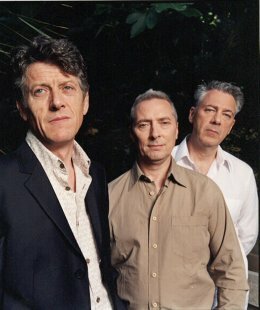 Wow, first it was Scritti Politti and now U.K.'s The Blue Nile have announced a 12 date tour of North America. Luckily a Toronto date is included and I'm looking forward to the show. To celebrate this news I'm making available for download the remix of 'Tinseltown In The Rain' from the BBC Scotland television series 'Tinsel Town' soundtrack. Congratulations to Imogen Heap for receiving two Grammy Award nominations. She's up for 'Best New Artist' and the 'Best Song Written For Motion Picture, Television Or Other Visual Media (Cant Take It In from The Chronicles of Narnia – The Lion, The Witch & The Wardrobe)'. And Happy Birthday to Immi today, have fun in Aspen. Also really enjoying the Headlock b-side 'Mic Check' from another beautifully packaged cd single (way to go Ryan Obermeyer). XOLondon pointed me in the direction of Tracey Thorn's MySpace site where she is streaming a great new track called 'It's All True' that will be the first single from her new album 'Out Of The Woods' due out in March. Over at the Good Weather For Airstrikes blog there are three tracks by new U.K. band Goodbooks available for download. This includes their new single 'Leni' which is quite good and was also mentioned by XOLondon recently. And over at the fluokids blog there is the Leni (Kissy Sell Out Remix) available for download. Really enjoying some television series this year including 'Prison Break', the surprise for me 'Brothers And Sisters' (thanks most likely to Greg Berlanti (Everwood) being involved), 'Ugly Betty' (the scene with Vanessa Williams trying to act tough when she met some hookers on a seedy street was one of the funniest things I've seen in a while), Heroes (on January 1st NBC will be airing a Heroes marathon in case you've missed any episodes but I guess you can watch them all online anyway), Jericho and still watching LOST. Looking forward to the return of 24 in January. This week I'm featuring one of my favourite bands - Climie Fisher and the song 'This Is Me' from their cd 'Everything' [which also contained their biggest hit 'Love Changes (Everything)']. 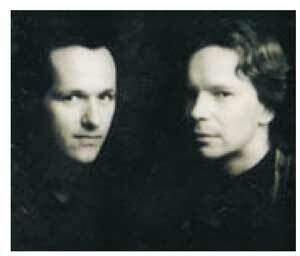 The band was comprised of Rob Fisher (who with Pete Byrne was Naked Eyes) and Simon Climie. Simon has written hits for lots of artists and currently seems to produce everything that Eric Clapton releases.